It’s been a busy week for our third years with lots of placement updates! Lucie is on a year long placement with Cosmopolitan magazine in Prague! A few months ago, Cosmopolitan started helping Rosa charity, which helps abused women and their children overcome problems. Last week, Lucie and the fashion team went to Fashion Arena Outlet to pick out clothes for the children. This initiative has been so successful that Cosmopolitan are planning to hit the interior decor stores next to provide bed linen and pillows. We think this is a fantastic initiative and look forward to hearing more! Courtney is on placement with fashion and accessory brand Skinny Dip London and attended the 4th Edition launch party last week where she had a great time! Danielle is at Those Were the Days Vintage in Edinburgh working as a brand ambassador! This beautiful boutique specialises in collections that combine vintage with contemporary style, including bridal wear. Isla is on placement at London’s cult couture fashion label Atelier Tammam. Isla has been helping manage the brand’s social media and we just love the creative visuals they share! Meanwhile, Lauren has been at Pure London on a buying trip with her placement host Edinburgh-based Sam Brown Boutique. Kat is on placement with our Media team here at Aberdeen Business School and has been getting some fantastic photography and filming experience, where she has been involved in creating marketing materials for our upcoming Applicants’ Day events! Here’s Kat out on location shooting the beautiful River Dee in Aberdeen! After all their hard work we hope our students will enjoy a relaxing weekend. We were pleased to see that Mollie and Beth have been making the most of their time in London, enjoying these fabulous cocktails in Selfridges! Happy Monday! Hope everyone had a nice Valentine’s weekend. 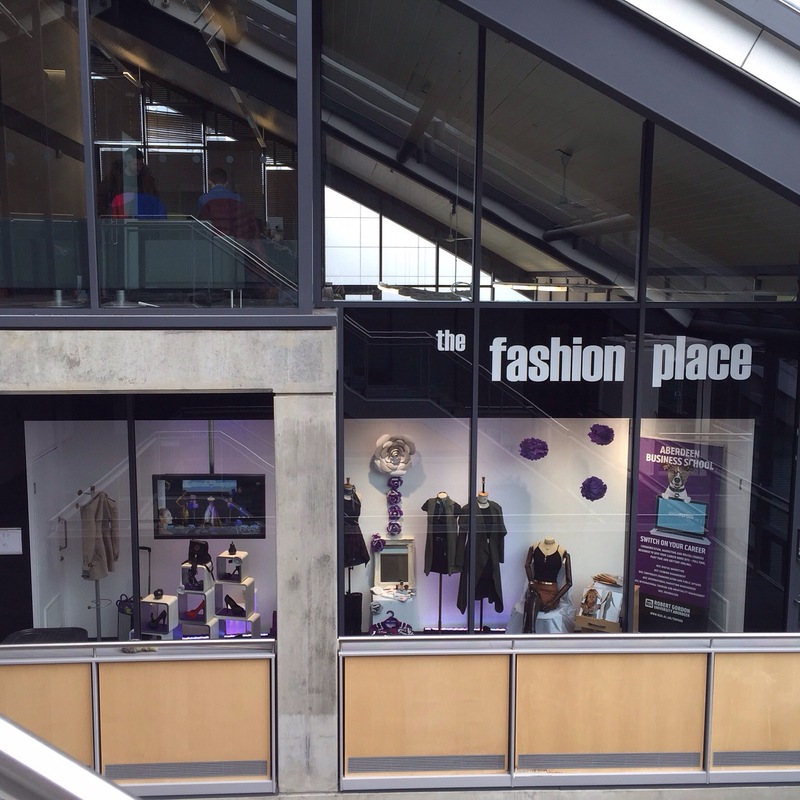 We’ve really enjoyed seeing all the placement updates from our third year Fashion Management students! Our students have shared creative window displays, beautiful work spaces and behind-the-scenes glimpses from their placements! Anya is on placement at Freja Designer Dressmaking and shared this fabulous window display she created last week! Kirsty’s having a great time on placement at Bewonder* in Leeds and shared this behind-the-scenes photo of these brilliant lockers where she has her very own! Meanwhile our Masters students are gearing up for their placements that start in April! It’s the first week of placement for our third year Fashion Management students and here are some updates! 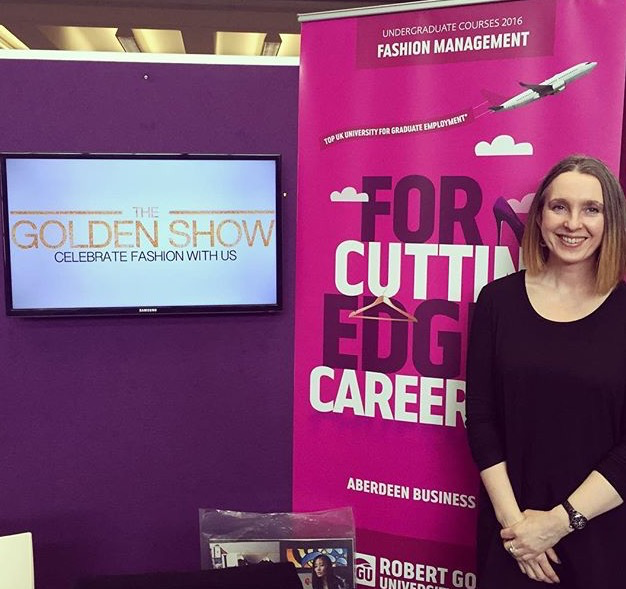 Katie is on placement at Aberdeen boutique Sirene and has been helping prepare for the Scoop International Fashion Show in London show this week!